On the same day at 10.30 a.m., the complainant took his wife to Medical OPD at PGI, who referred her to Cardiac OPD. The Senior Resident (SR), Dr. Ashish/OP-2 at Cardiac OPD examined her and prescribed her ORS and Ciplox TZ tablets. However, Dr. Ashish/OP-2 did not consult any senior Cardiologist; he ignored extremely low BP and serious condition of the patient. The complainant took her back home but again, the next day, he brought her to Advanced Eye Centre for further check-up. Dr. Usha Singh examined her and advised her to take ENT consultation. Accordingly, the patient had visited ENT OPD. As per the complainant, despite her sick condition and diastolic failure with low BP, the doctor did not advise the patient to get admitted in hospital. The doctors failed to realize the seriousness and did not admit either in ICU or CCU; but sent her to home without proper advise. Thereafter, on 30.1.2008, the complainant took the patient to PGI in more deteriorated condition. She was treated in the medical emergency ward by junior doctors. The complainant added that for 24 hours, no doctor either from cardiology or medicine attended her. At 4.30 p.m., due to her critical condition, one tube was inserted in her trachea and she was put on Ambubag. Complainant had made several requests to the doctors to shift the patient to ICU/CCU , but till her death, she was not shifted to ICU; ultimately patient died on 3.2.2008. It was alleged that the death was due to medical negligence and deficiency in service on the part doctors at OP/PGI. This decision was challenged by PGIMER, which approached NCDRC stating that the State Commission proceeded on surmises and conjectures, ignoring the expert opinion given by Government Medical College. There was no evidence to prove that, the patient was required to be shifted to ICU or CCU. The patient was under treatment of team of expert doctors. Moreover, the Medical emergency ward was perfectly well equipped to deal with such emergency situation. Every case does not require ICU or CCU admission. The patient’s death was due to her deteriorated health condition because of Acute Renal Failure. During hospitalization, many Senior and Junior residents were monitoring the patient. The patient was given treatment in accordance with the standard guidelines of “Surviving Sepsis Campaign”. The counsel further submitted that, without any direction from State Commission, complainant had produced an expert opinion from a private Cardiologist i.e. Dr. Anil Grover; the opinion is not authentic. The State Commission erroneously accepted the opinion from the independent doctor, whereas rejected the expert opinion submitted by the Government Hospital, Chandigarh. During the proceedings, the State Commission had sought an expert opinion from the Government Medical College and Hospital, Chandigarh. The Committee of Medical Experts headed by Dr. Atul Sachdev opined that the treatment given on 24.1.2008 was correct and use of antibiotics for the deceased eye infection was proper. The Committee also endorsed the fact that there was no worsening of patient’s Restrictive Cardiomyopathy. The advice of ORS and antibiotic (Ciplox TZ) was correct for management of dehydration of deceased patient. Per contra to the aforesaid expert opinion, complainant on his own without seeking any direction from State Commission, had produced another opinion from Dr. Anil Grover. According to the PGI council the State Commission ignored the reliable expert opinion from Government Institute but accepted the entire opinion of a private expert. it is amply clear that, there were many lapses on the part of treating doctors in various departments at PGI, namely, viz. Ophthalmology, ENT, Medicine and Cardiology. It was an institutional negligence. Therefore, we hold the institute vicariously liable for the acts of their doctors. It was not a standard of care to the emergency patient. Considering the patient’s deteriorated health condition, hospitalization was needed, but she was discharged; and was subjected for OPD follow up, which is not justified in the instant case. The complainant had filed an opinion of Dr.Anil Grover, a Private Consultant, Cardiologist. According to him, there was deficiency in service during the treatment of the patient. He opined that Ophthalmologist at Advanced Eye Centre after treating eye complaint had properly advised the patient to take follow-up in Medical/Cardiac emergency. According to Dr. Grover, there is lot of difference in examining the patient in emergency OPD/Ward and in Cardiology OPD. Also, the examination of patient by Consultant or Junior or Senior Resident (SR) has lot of difference. The SR from internal medicine after seeing the patient in emergency can admit the patient under Cardiology department. Under such circumstances, the patient was not seen by any Consultant or Cardiology for detailed examination. Even there were no verbal instructions to the SR about the treatment aspects. Thus, it was the fundamental mistake amounting to criminal negligence. Dr.Grover also submitted that one does not send the patient to home, who was perceived to be “sick, septicemic” and has systolic BP of 80 mmHg with raised JVP. ….the opinion from Government Hospital, Chandigarh had not commented about need for hospitalization of the patient, who was very sick; whereas Dr. Anil Grover clearly opined that patient’s condition was very sick and she was in the diastolic failure, her admission in the hospital was necessary. Moreover, the OP/hospital and doctors have not clarified as to why the patient was not admitted in ICU or CCU despite knowing that her BP was persistently low. The OP/Hospital also has not clarified whether the ICU beds were available or not? The patient was discharged and sent home twice in sick condition, which further caused deterioration of her health. It is transpired from the medical record that on 30.1.2008, even after admission in the emergency OPD ward, the patient was not attended by any senior doctor or consultant for more than 24 hours. Therefore, we agree with the well-reasoned opinion given by Dr. Anil Grover. It is justified. 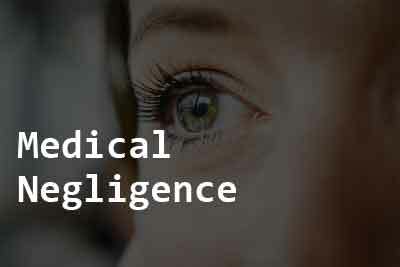 The allegations of medical negligence levelled in the consumer complaint, thus, stand proved. In so far as the award of compensation is concerned, the State Commission directed the Institute as well as the two doctors, arrayed as parties in the consumer complaint to pay the compensation of Rs.6,60,000/- alongwith other compensation to the complainant. We, however, deem it appropriate to modify the said order and direct that since the OP/PGI is vicariously liable for the negligence of their doctors, the OP, PGI shall pay the amount awarded to the complainant in the first instance. However, the OP, PGI shall be at liberty to conduct their internal disciplinary proceedings in the matter in order to fix responsibility for the lapse and then to recover the amount from the erring doctors, if considered appropriate. If Dr Grover found the patient to be sick why did he not admit her? Anybody whatever be the complaint when having a low BP and raised JVP should have a proper evaluation and treatment.It is the duty of any doctor to tell them the fact that you are having some signs of cardiac failure and you need a cardiologist\’s opinion.If no doctor has done it it is a criminal negligence. The patients and coming to a problem and it is your duty to see them in Toto as a human being not just as eyes kidneys or heart. What is the basic teaching as a medical graduate?You have to examine all the systems. As a specialist if you are unable to do that you have to direct to a proper person who is able to do that. You cannot wash off your hands in such occurrences. Was an autopsy done in this case? If yes, what is the report? If not why it was not done. Who gave an anti-mortem diagnosis of Restrictive Cardiomyopathy. With this diagnosis who admitted the patient to Eye ward for what treatment? Why the cardiology consultation was not sought? Was a bed available in medicine/cardiology ward/ICU. Even if the patient was hospitalised , what better out come was expected. Mortality with this diagnosis is known to be high. Death could have been procrastinated but some other more deserving patient would have been helped. The treating doctor is not at fault.